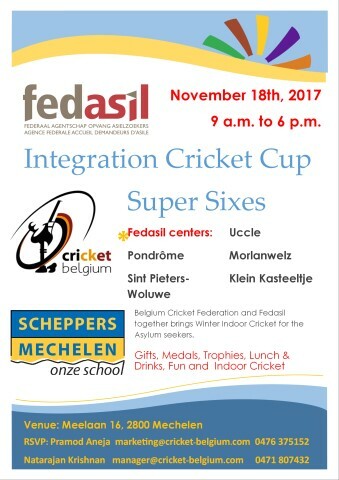 The Belgian Cricket Federation (BCF) will be organizing cricket activities for Asylum seekers that are residing at refugee centers. BCF is an organisation for all cricket-related activities and the local cricket clubs. 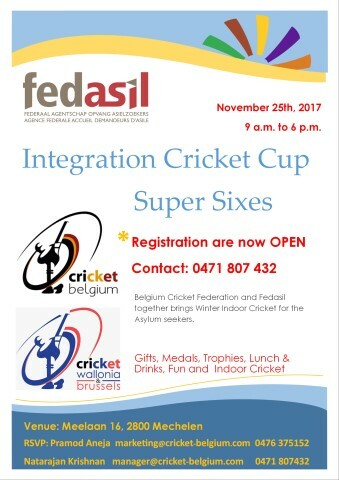 It aims to promote and organize cricket activities in Belguim. 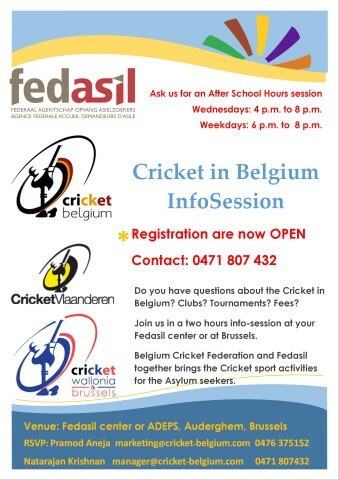 The aim of “Fedasil Cricket Project” is to integrate the refugees into the local cricket clubs. Although this project is open for all asylum seekers, the primary focus will be on the minors. If you are interested to participate in the project and want us to contact you please send an email to cricket@cricket-belgium.com. We will contact you as soon as possible. 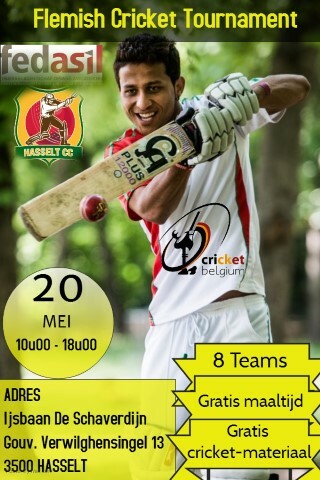 Integration of Refugee migrants into Belgian society through Cricket! Fedasil have extended the the project allotted in 2017 to the BCF for one more year in 2018. Player database : Preparation of the database of all players. • Determining the needs and requirements of the players. Promote cricket on local radio, success stories in social media, press, TV etc. More details to be added here..